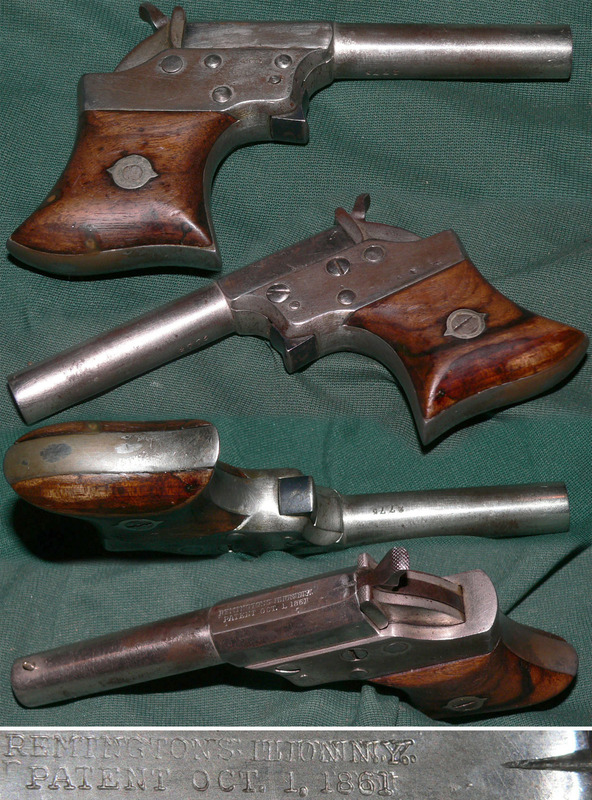 Please click the image for a larger version Remington Vest pocket .41 caliber derringer. Serial number 2775. Metal parts show traces of the original nickel finish, surfaces overall having been cleaned with a few scattered pits. Wood grips show average wear and use with a tiny glued crack on left side, tiny chip on right and a couple tiny holes filled with glue on the right side. Mechanically good, sold as a collector item only, not warranted safe to shoot.